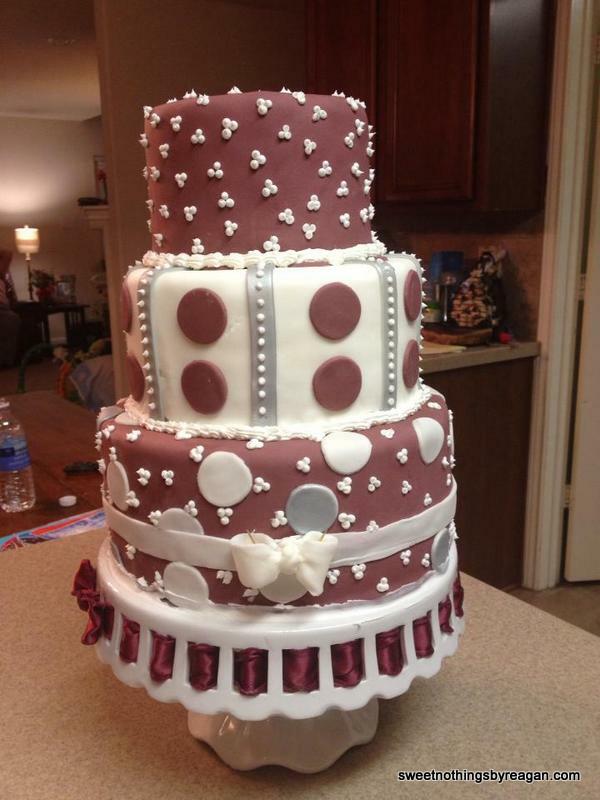 This marroon, white, and gray cake was created for a brother/sister duo. He was graduating from Texas A&M. She was graduating from High School and heading to Texas A&M. This three-tier beauty rested atop a cake stand from my collection. I have many to chose from at no extra charge. I only require a deposit (in check form) that I will hold until the stand is returned in its original condition. Posted in featuredTagged aggie cake, aggies, cake, fondant, gig em, graduation, graduation cake, Texas A&MBookmark the permalink.